In an exciting departure from his writing on leadership, corporate culture, and strategic change, Craig Hickman, the author of such titles as Creating Excellence and Mind of a Manager, Soul of a Leader, gives us a compelling tale of corporate intrigue and innovation. 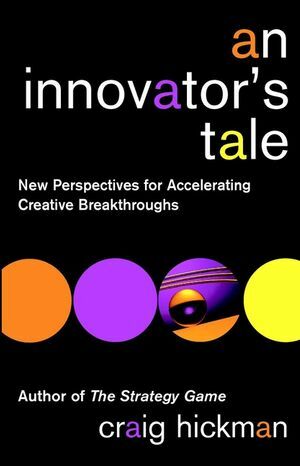 A suspenseful business novel that engages the reader on every dramatic level while teaching important lessons on how to be a more effective innovator and creative problem-solver, An Innovator's Tale focuses on the trials and tribulations of a newly promoted vice president who has been thrust into a world of corporate turnaround, duplicity, and espionage. Readers learn by her example as she discovers and applies four different levels and five critical stages of innovation, while struggling to contain containing the damage done by stolen business secrets, computer hacking, and high-level company officers who are not quite what they seem to be.